RT. 3 West to Meadowlands Pkwy. At end of ramp, turn left onto Meadowlands Pkwy. RT. 3 East to Meadowlands Pkwy. 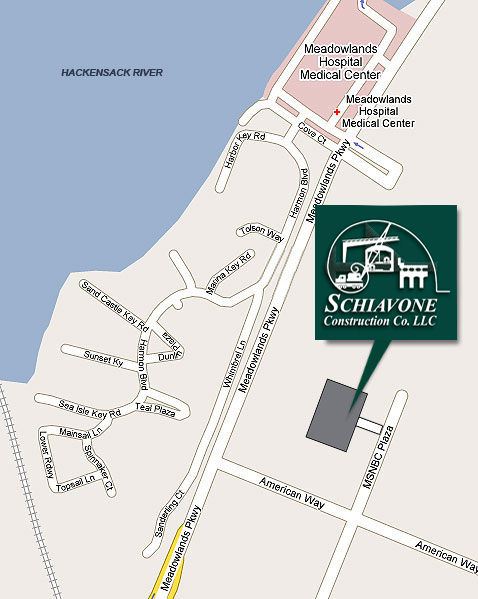 Schiavone has always valued the importance of the career fairs and events throughout the year recruiting for both employment and co-op positions. It is an important activity for the company to identify future talent, well worth the time and commitment. The awareness of who Schiavone is has really intensified from the visibility of attending each year. When you see the Schiavone booth at a career fair, there is usually a line of students waiting for their chance to speak with a Schiavone professional.